New American Airlines Amenity Kits fly from March 2016 with rotating colors through March 2017. Looking for a new Handbag? 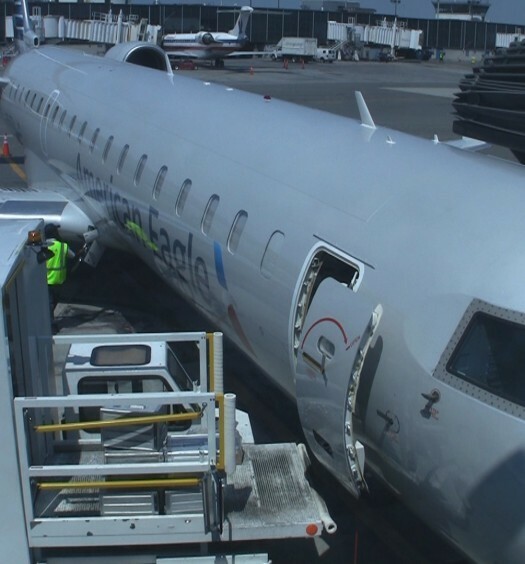 American Airlines Thinks This Should be it. 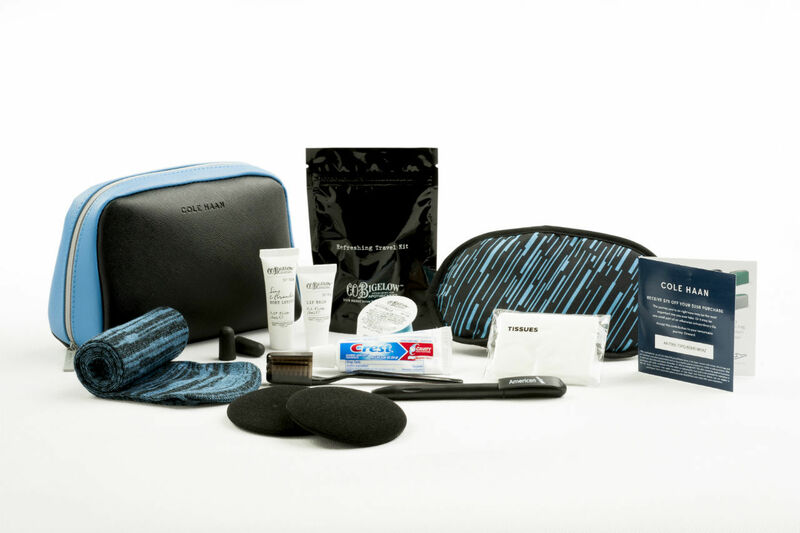 American Airlines is joining the ranks of airlines who offer a premium class amenity kit that comes in a bag you might want to use again. Working with Australlia based Buzz Products, the airline will be offering new kits aboard international and transcon domestic flights beginning in March 2016. All the contents and the bag itself are made by US based companies from the stylish Cole-Haan bags, to a name-brand variety pack of in-flight goodies as contents. 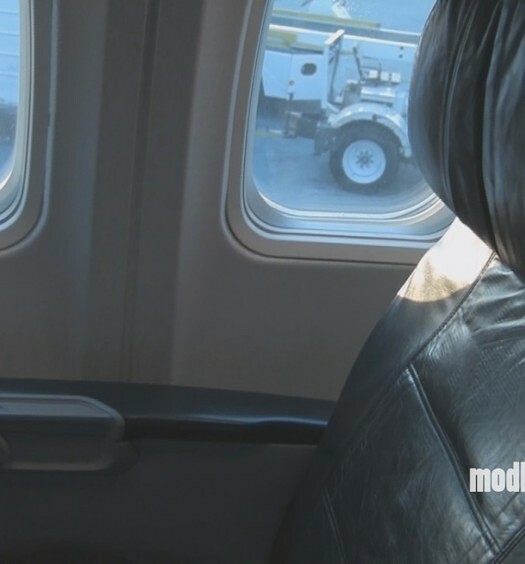 Bag style and contents vary by cabin class. New American Airlines Amenity kits for International First come with products by 3Lab. -3Lab skincare products: M Cream, Perfect Hand Cream, and Perfect Lips (Balm), tissues, hand sanitizer, mouthwash, pen and foam headphone covers. -Coupon codes for discounts on 3Lab and Cole Haan products. American Airlines International Business Class Amenity Kits are stuffed with the usual flight goodies and C.O. Bigelow skin care products. -C.O. Bigelow Apothecaries products:lip balm, Lime & Coriander body lotion and mouthwash. – Tissues, pen and foam headphone covers. -Coupon codes for discounts on C.O. Bigelow and Cole Haan products. 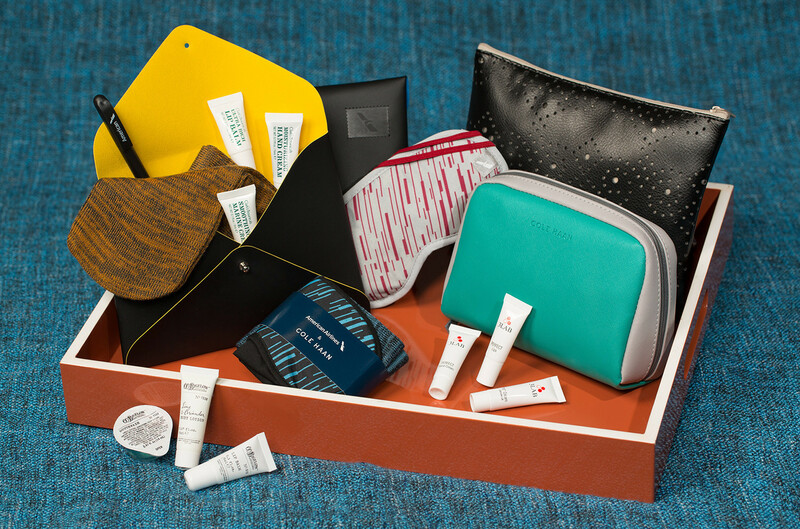 American Airlines Transcon amenity kit comes with Clarks Botanicals products in an envelope style Cole Haan bag. -Clark’s Botanicals products: Smoothing Marine Cream, Ultra Rich Lip Balm, Moisturizing Hand Cream + Refreshing Hand Wipe. -Coupon codes for discounts on Clark’s Botanicals and Cole Haan products. American is the lone legacy US carrier that offers First Class on it’s transcon flights between JFK and LAX/SFO and got good marks from us. Hopefully the potentially re-usable Cole Haan bag and revised kit will enhance the in-flight experience.